That is a question I have often wondered about how to get to a hotel after the airport. I like the idea of a shuttle, but don’t use them enough to know how everything works. I am glad to hear that I can check with my hotel to see if there is a shuttle I can use, and find out other information so I can be prepared. I really like your idea of visiting the website of the airport you will be flying to in order to check taxi rates in that area. I’ve never thought to check online beforehand, but that’s a great idea so that you can plan ahead enough for your transportation upon arrival. I bet it’s good, too, because you will already know of some reputable taxi companies in the area, which will help you get transportation for a cheap price. Thanks for the tip about hiring a limousine if you are planning on spending two weeks or more for your trip. I agree that it would likely be much cheaper than paying for two weeks of parking. Of course, if the cost isn’t the main concern, I know I would much rather be driven around than drive myself. I particularly hate driving when I have to take an early morning flight. Thanks for the tips for traveling to and from airports. I didn’t know that it’s good to just use the parking lot if your trip is less than four days. If it’s longer, then is a taxi or a shuttle better? For me since I’m a ways from the airport if I’m travelling for more than a week I will take an airport taxi/limo. Some airports have long term discount lots but they are usually far from the airport and shuttles don’t run very frequently. I didn’t know that major hotels often offered a free shuttle. I bet other shuttle services are necessary if you don’t just need to go to your hotel though. I bet businesses research airport transportation based on where they need to go. Thanks for the tips about airport transportation. It’s good to know that the airport’s website provides how much a taxi will cost. As long as I don’t have to park my own car, I will be happy. That’s a good point to consider how close you are to an airport. Sometimes it can be beneficial to get a taxi or a shuttle of some sort. Depending on your distance you can save money depending on your choice. I like your advice to hire an airport limousine if you are traveling for more than two weeks in a row. 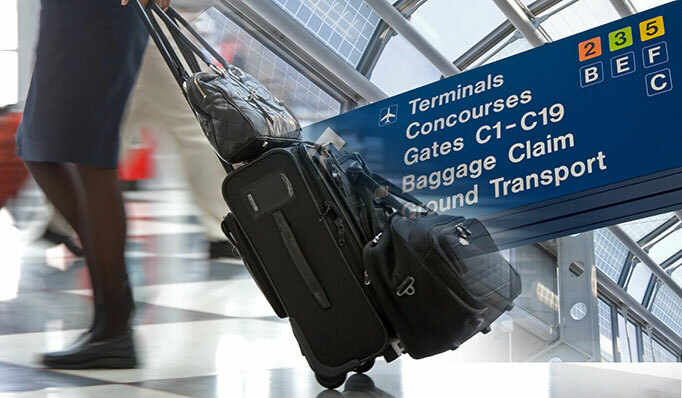 One of the hardest things to decide when traveling is knowing where it is that you are going to leave your vehicle or if you don’t use your own, how you will get to the airport in time to catch your flight. It would probably be a good idea to hire an airport transportation service of some kind so that way you won’t have to worry about paying for parking or getting to or from the airport after you return home. I liked when you mentioned how calling a transportation company can help you get a quote about your trip and their charges. It is important to remember that understanding what you need can help you find a shuttle that has enough space for all your baggage and can help you get to your destination safely. Personally, I would want to make sure I consult with several companies and compare their rates so I find the best transportation from the airport to my hotel. Thanks for sharing the tip about using “park, stay and fly” deals with hotels to park your car and take a shuttle to the airport, especially if you have an early flight. My husband flies a lot for his job and had to wake up very early sometimes, and the parking bills really do add up. Using an airport transportation service might reduce how much he spends on parking and maybe help him sleep in a little. Thanks for the great tips for finding airport transportation. I’m tired of driving myself, and trying to find a parking spot. I’d much rather take a taxi, or even a limo! Next time I travel, I’ll be sure to search online for a good company, like you said. I like that you had mentioned searching the internet to find a company that can provide you with the lowest pricing. My wife is leaving on a trip with a few of her friends and while I’m dropping them off, they don’t have a way from their hotel to the airport. I’ll definitely have them search for a dependable company to provide the transportation from the airport. You make a great point about making sure to factor in your return trip when arranging transportation from the airport. It seems like finding a reliable transportation service who’s familiar with the area could be a huge help and benefit for someone who’s flying in. My husband and I are hoping to take a trip together to celebrate our wedding anniversary. If we do fly, we’ll want to look into getting our rides in order. Nice tips! I appreciate your advice to check if the hotel I will be staying at offers a free shuttle. If not I’ll have to find another way to get there from the airport. In any case, my vacation starts over a couple of weeks and I have enough time for it!